Keeping your business looking good is an important part of drawing in new and returning customers. 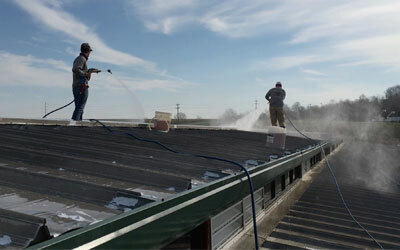 At Nashville Roof Cleaners, we take pride in making it look great. Through our specially designed system and the use of gentle yet effective soap products, we ensure that your building presents a welcoming place for both your employees and your patrons. Keeping harmful fungus out of your building and reducing your electric and gas bills, regular roof cleaning can be a true asset to both the comfort of your customers and your budget. Improperly working gutters can create lasting water damage to your building. Routine cleaning keeps them flowing perfectly and helps to maintain the structural integrity of the building. In business, first impressions are everything. With our soft-washing services, you can make sure that your customers see an inviting and well-kept place every time they visit. With constant foot traffic, your pathways and entryways can accumulate quite a bit of dirt and grime. 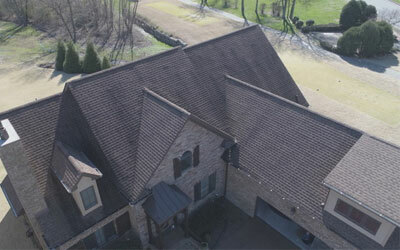 Through our unique method of power washing, we can help maintain a stain-free, immaculate appearance. For a speedy quote on your project, call us today. We look forward to hearing from you.